Working in family mediation can be isolating. For April, the Bridging the Distance Committee wants to talk about those tough cases we all remember. What happened? How did you handle it? How do you wish you would have handled it? What did you learn from the experience? Let’s support one another in a safe, confidential forum. This one hour zoom teleconference is open to anyone who wants to share and learn about family mediation. The Bridging the Distance Committee's Community of Practice provides ADRIA members outside of Edmonton or Calgary with Professional Development opportunities and a link to ADRIA staff. Often, when we are at a distance, we don’t have colleagues with whom to debrief or opportunities to connect. The Bridging the Distance Community of Practice can be that forum. As a community of practice, we want to be able to share, learn, develop and grow. Members in Edmonton and Calgary are also invited to join. Everyone is welcome. So you have started marketing yourself as a mediator. The phone rings and someone is asking you about your mediation services. What do you say? What questions should you be asking? What is your intake procedure? How do you you determine if you're a good fit? In this interactive learner’s session we will discuss likely scenarios and vital questions to ask. The last hour will be spent practicing your skills with other learners through role-play or skill drills. This program combines a three day workplace restoration offering with a two day Workplace Fairness Analyst Certification process. Blaine Donais is a lawyer, mediator, arbitrator, investigator and leading expert in workplace conflict management. He is author of Workplaces That Work (2006); Engaging Unionized Employees (2010); and The Art and Science of Workplace Mediation (2014) all published by Carswell. He is president and founder of the Workplace Fairness Institute. He is an instructor of workplace conflict management at York University and University of Toronto (Centre for Industrial Relations and Human Resources) and acts as Visiting Lecturer at universities around the world. He is also Academic Coordinator for the York University SCS Advanced Mediation Certificate Program. He is co- chair of the ADR Institute of Ontario Chartered Mediators Regional Assessment Committee. Michelle Phaneuf is a Chartered Mediator, a trained Ombudsman and a certified Workplace Fairness Analyst. She is a partner with Workplace Fairness West and has extensive experience delivering change management, conflict management and conflict resolution services. She provides workplace assessments to shift cultures, facilitates teams to reach innovative solutions, and coaches individuals to gain insight and awareness when in conflict. Recent training and implementation of restorative practices in workplaces has enabled her to experience success with restoring harmony to complex conflict situations. Michelle has developed and presented workshops with the CPHR (Chartered Professionals in Human Resources), CCDI (Canadian Center for Diversity and Inclusion), the CMHA (Canadian Mental Health Association), APEGA (Association of Professional Engineers, and Geoscientists of Alberta) and many other organizations. Note: a catered lunch is provided. Please come out and support PMAST's youth programs at what is sure to be a wonderful evening of fun and laughter! Please save the date of our next scheduled Calgary luncheon. Topic to be announced soon. Please register in advance online and then pay at the door. Cash or cheque only preferred (cheques made out to the Danish Canadian Club). ADRIA member rate is $25 and the non-member rate is $35. 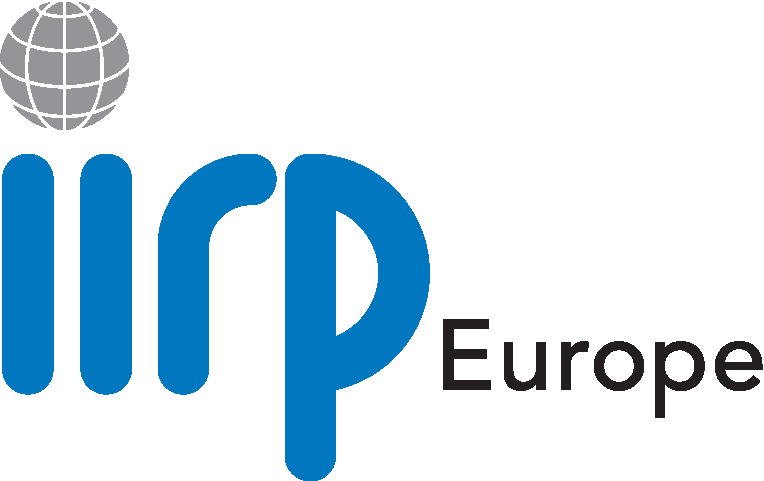 Join the IIRP Europe Conference in Kortrijk, Belgium. The conference will have a special focus on the role of restorative practices and allied approaches in supporting well-being and resilience in communities and organizations. For additional information, visit https://app.pheedloop.com/?event=belgium2019#/tabs/home/home. Lorri Yasenik PhD and Jon Graham LLB are proud to announce a second Meeting With Children program for 2019. This course is for family mediators, child consultants, psychologists, social workers, and lawyers seeking to expand their skills to work in a new way with children of separated parents. The Meeting with Children Approach teaches the skills necessary to meet with children and youth from post separation families. For practitioners, the approach is highly structured and non evaluative. For children/youth, the approach is unstructured, and non-directive, practice based, experiential, expressive and play based. Over 200 professionals in North America and Australia have been trained in this approach. The course is is research based and supported by online tools, videos and resources. Four day competency program. Click here for more info. ADRIA AGM - Save the Date! Please plan to join us Thursday, June 13 from 5-8 pm for our Annual General Meeting. Wine and cheese will be served and door prizes will be available. 727 - 11th Avenue S.W. More information and details will be posted in the coming weeks. Featuring a panel of nationally recognized experts in dispute resolution, this comprehensive program provides two and a half days of unique educational opportunities for practicing professionals. Participants will network with nationally prominent faculty, as well as participants from the other specialties at plenary sessions, lunches, and receptions. Early enrollment is recommended since many of the sessions fully subscribe. Whether reimagining your school system, facilitating hard conversations between police and neighbors, expanding restorative justice efforts, or improving social health and well-being across a college campus, leadership is key. Only by bringing the right people into the room, and having the right conversations, will such efforts be successful and sustainable. This conference will feature efforts to lead positive change by bringing people together, exploring needs, building trust and collaborating creatively. The International Institute for Restorative Practices' conferences explore the common threads for improving civil society across many disciplines. The program will consist of daily plenary sessions, dozens of dynamic breakout sessions to choose from and invaluable networking opportunities. Tracks include education, justice, family, community, workplaces and leadership. More details to follow. Click here to watch for further information. AFMS is celebrating 35 years! Join us for the celebration with great networking, informative presenters and stay tuned for an exciting announcement about registration fees. World-class keynote speakers and leading-edge thinkers will stretch your knowledge, transform your work, challenge your assumptions and open you to discover new opportunities through an inspiring, content-rich two-day program. Every year, attendees say that this is THE conference to attend. Check out our testimonials!! Recognized educational and training credits: Professional bodies in a variety of fields approve participation in the People for People Conference for professional development credits. Inquire with your professional governing body today. Upon request, we will happily provide you with a letter for proof of attendance. We are a charity project organized by an amazing team of volunteers. Tuition includes breakfast and lunch on both days. Planning is underway for Manitoba’s first ever, province-wide, coordinated Conflict Resolution Day, Oct. 17, 2019. ADRIM will collaborate with universities, ADR-friendly organizations, business, government, schools, etc. to host a one day or multi-day conference and celebration. Possible venue may be the Canadian Museum for Human Rights. Conflict Resolution Day is an international celebration held on the third Thursday in October every year. In Alberta, a committee of representatives from both provincial government and community dispute resolution programs work together to support and promote events across the province. Conflict Resolution Day was started in 2005 by the Association for Conflict Resolution in the United States to raise public awareness of creative and peaceful means of resolving conflict. Now communities around the world hold events to mark Conflict Resolution Day. ADR sometimes stands for Appropriate Dispute Resolution because it describes options other than going to court, but as ADR has become mainstream we use the term Appropriate Dispute Resolution to describe all the choices available to prevent and manage conflict in a non-adversarial way, including: mediation, arbitration, and restorative practices. Our goal is to get Albertans talking about their options to work through conflict in a positive and productive way. More event details to follow.